Broughton Beach is along the Columbia River, right next to the Portland airport. It can be a challenging place to bird, with dogs and children chasing the birds, police carrying body bags down the beach, etc. But if you catch it on a good day you can find some excellent birding. The great attraction this past week was a Pacific Golden Plover, which spent two days there, avoiding me with great success (thus that specie’s designation as one of my nemesis birds). 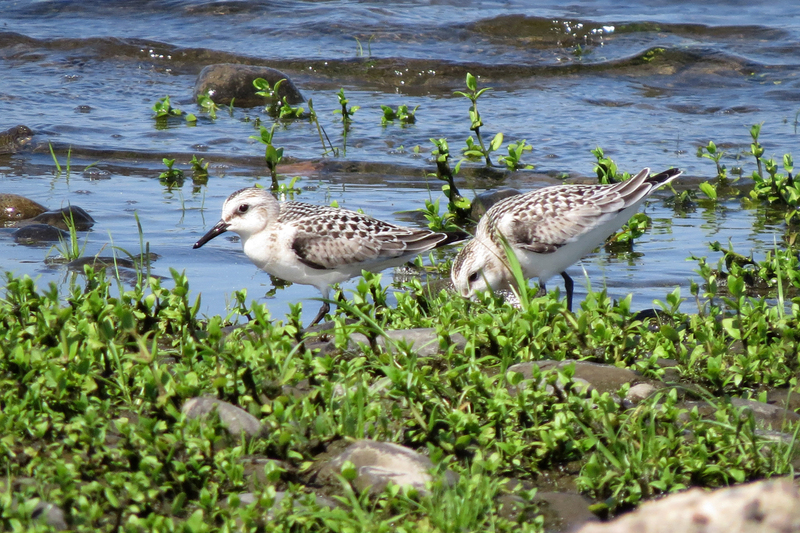 I tried for the plover twice with no luck, but found several other goodies along the way. 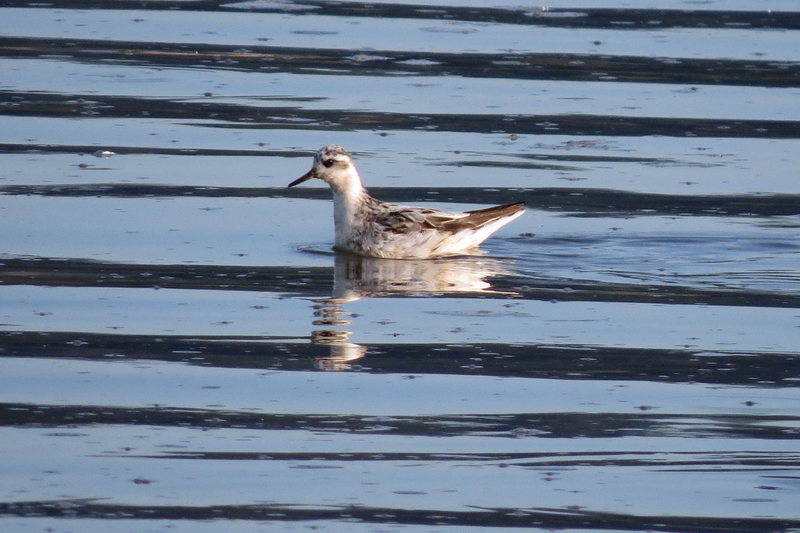 The most unexpected species was this Red Phalarope. At first glance, I wrote this bird off as a Red-necked, since Reds are very unusual inland in August, and Red-neckeds are expected. Once I looked at the photographs, however, I saw my error and got a good reminder to LOOK AT THE BIRD! 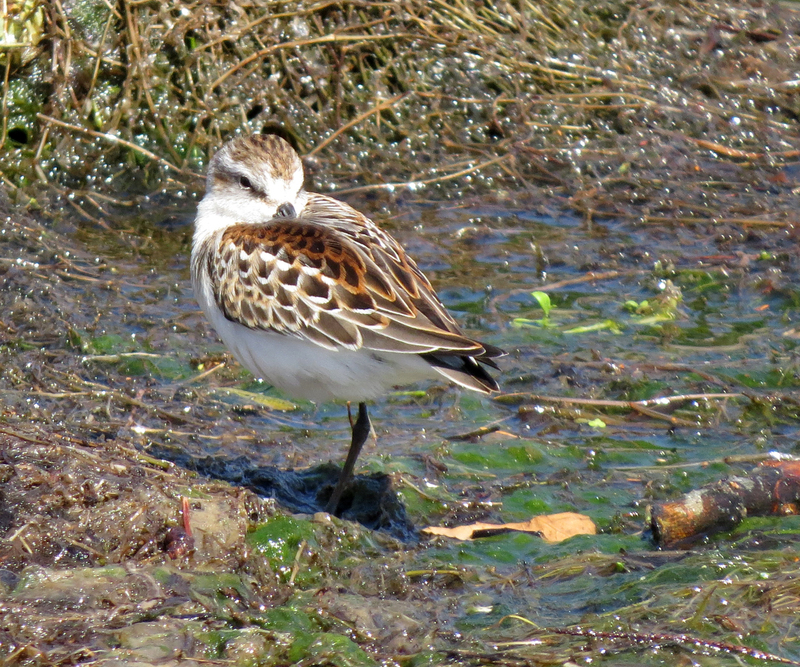 That heavy bill with the light-colored base is a dead giveaway for Red Phalarope. 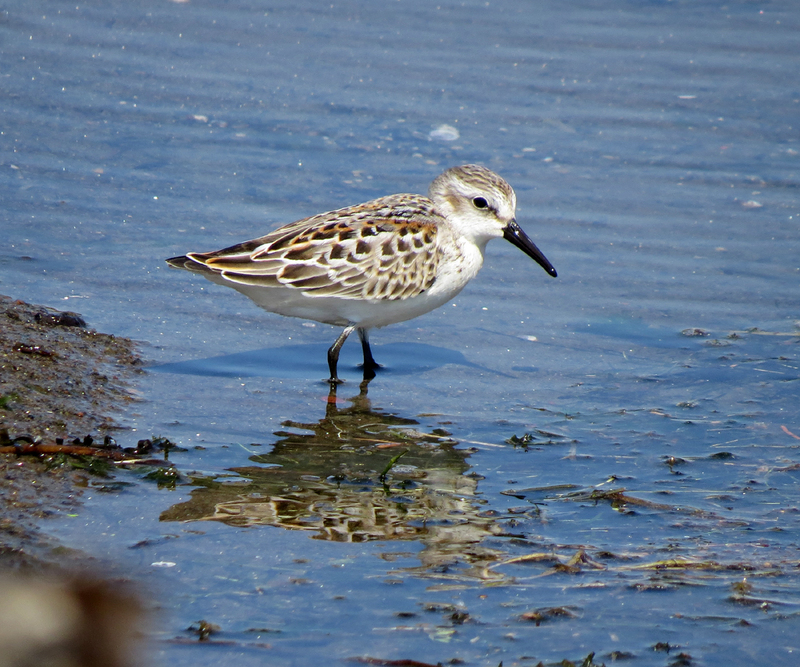 Another coastal species along Broughton Beach was Sanderling. 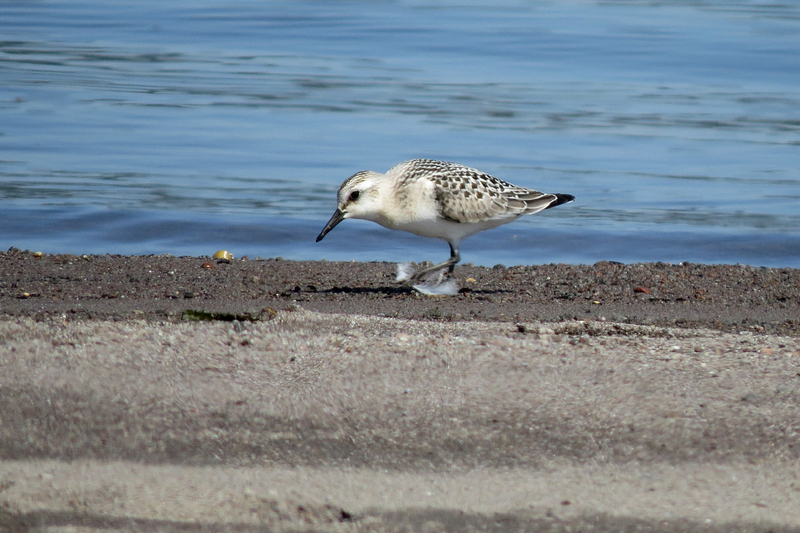 It is nice to see Sanderlings at inland locations, since you can often get closer to them there than you can at the coast. 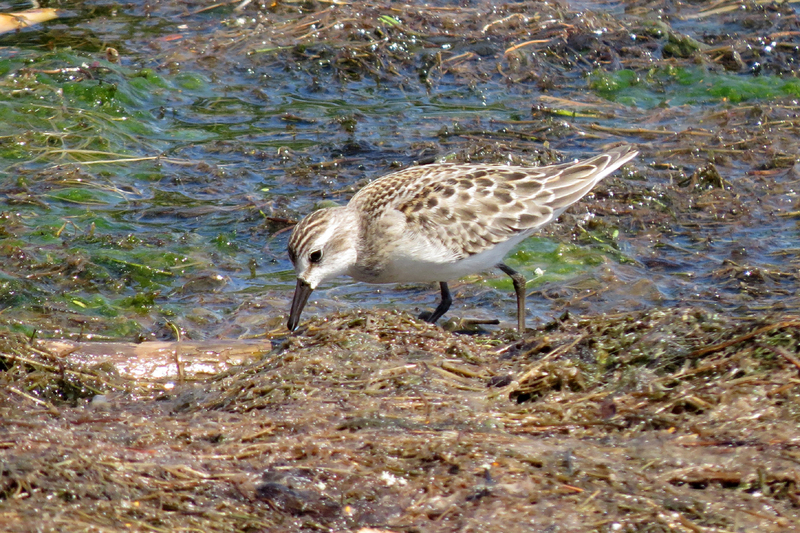 Another nice find was this Semipalmated Sandpiper. You can see the partial webbing between the outer toes that gives this species its name. 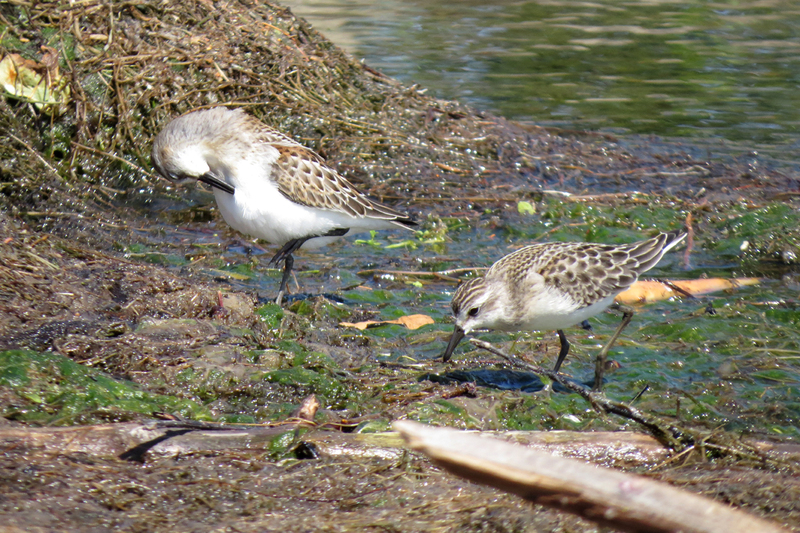 Ten years ago, a Semipalmated Sandpiper anywhere in Oregon was a pretty big deal, but now quite a few individuals are reported every year. Either the bird has become a more common migrant in this state, or people are just better at recognizing them. 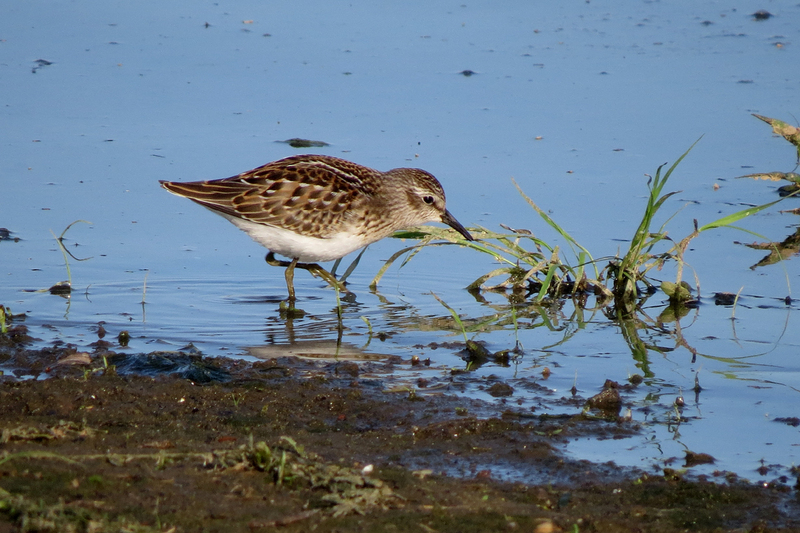 Western Sandpipers were present in small numbers. . .
California Gulls like to hang out on a little sand spit that extends into the river at low tide. 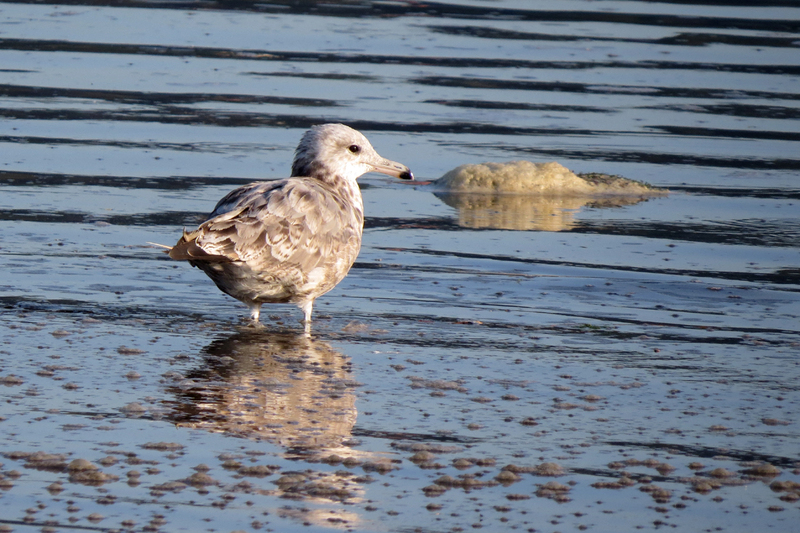 A few Glaucous-winged Gulls have arrived, and will become more common as autumn approaches. 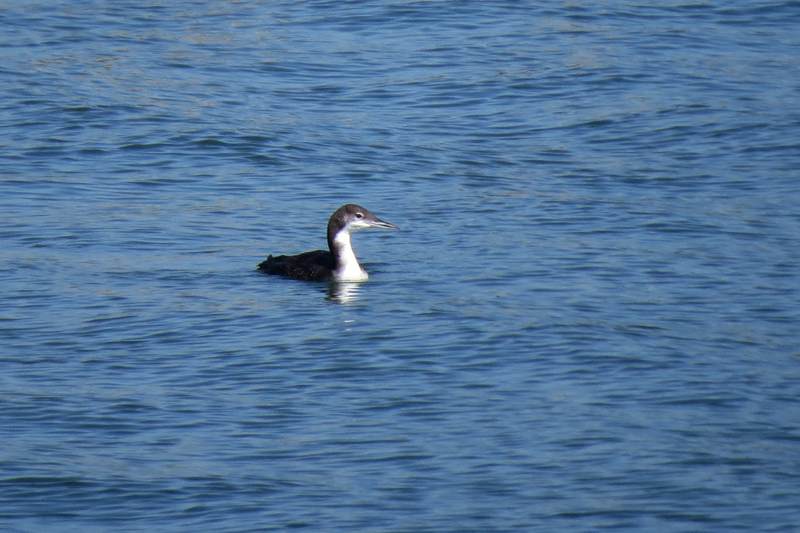 This Common Loon seemed a little out of place for August. In the winter months, this species is often seen at this site with large rafts of grebes and diving ducks. There are fewer kids and dogs then, too. 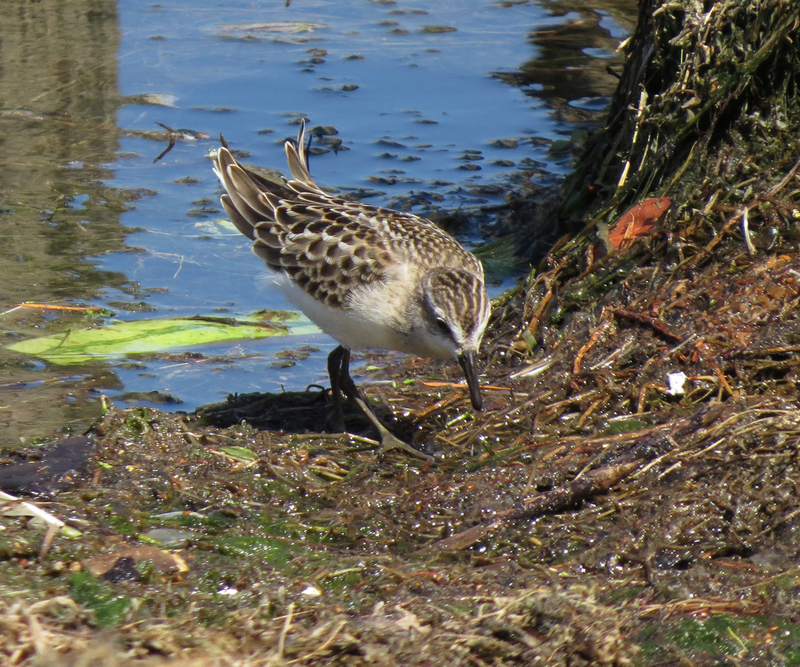 This entry was posted in identification challenges, OR Birding Sites, seasonal movements and tagged Broughton Beach, California Gull, Common Loon, Least Sandpiper, Red Phalarope, Sanderling, Semipalmated Sandpiper, Western Sandpiper. Bookmark the permalink. Michele, John is a master of shorebirds, of course he carries bell peppers! 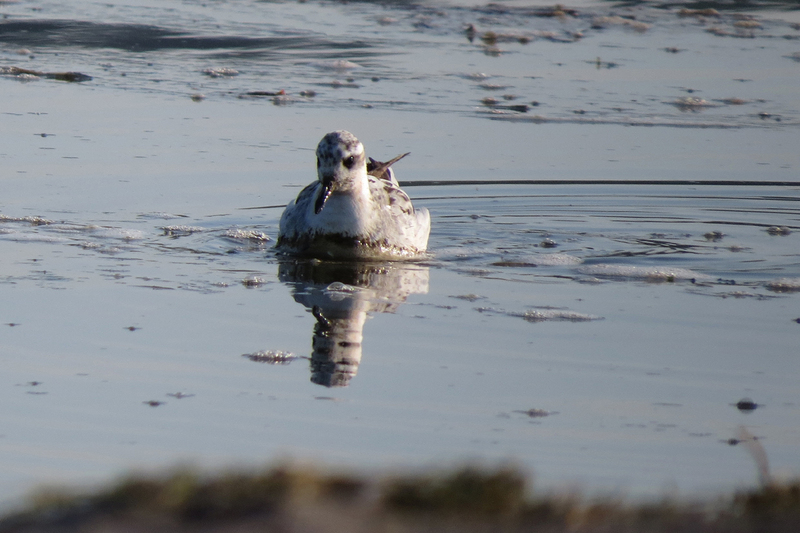 I am super jealous of these phalaropes. Did you agree that there were both Red and Red-necked present? 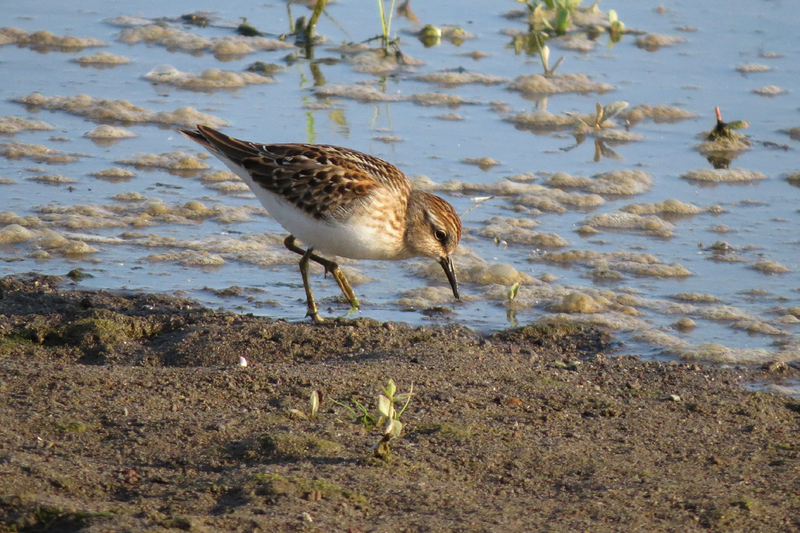 Tait’s photos from that morning showed both species. 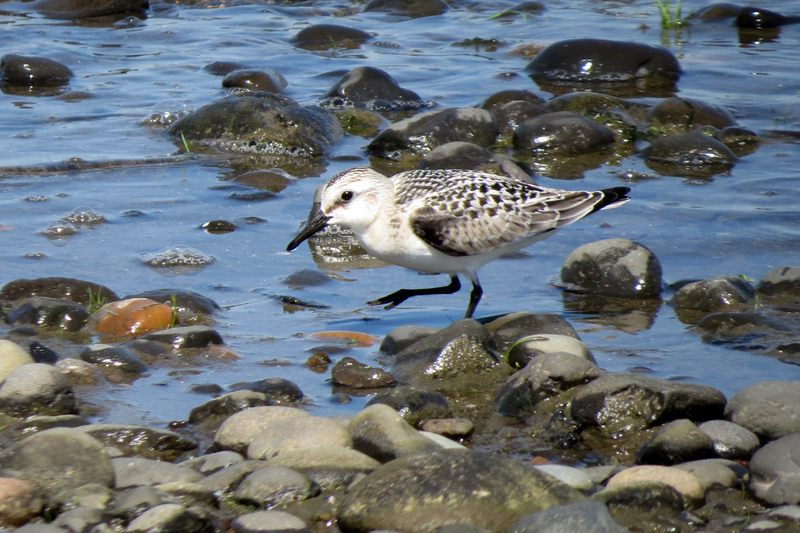 I was too distracted by not seeing the Pacific Golden Plover to pay close enough attention.